I have been trying to figure out how to eliminate the need to update all bulletin boards in the church (more explanation in a future post). 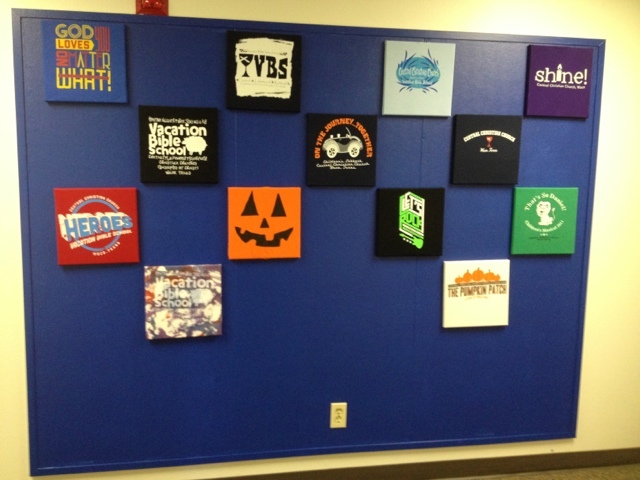 I took this concept of displaying the t-shirts and paired it with my need to fill a HUGE bulletin board in the KidCentral preschool wing. 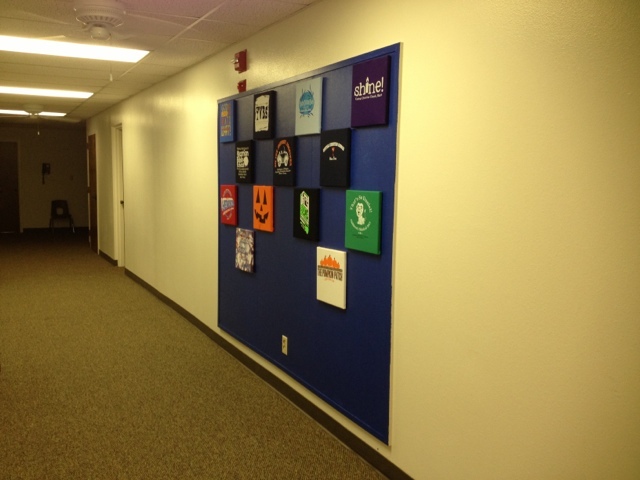 I collected all of the children’s ministry t-shirts from the last 6 years and bought 12×12 canvases. (Michael’s has 7 packs for 19.99, then use a 40% off coupon). 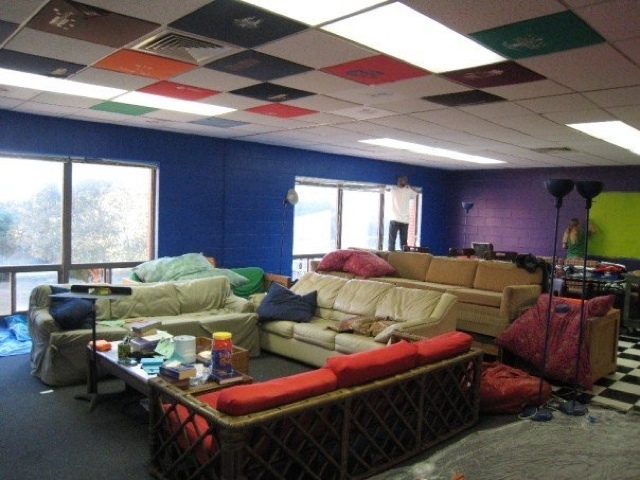 I painted the entire bulletin board with blue latex paint (leftover from painting the youth room years ago) and then cut and stapled the t-shirts around the canvases. 1) I am now fully aware that I do blue and black shirts all too often. 2) This board will hold about 40+ shirts, so I don’t have to change it for years! 3) If this ministry gig doesn’t work out, I would love to design t-shirts for a living.